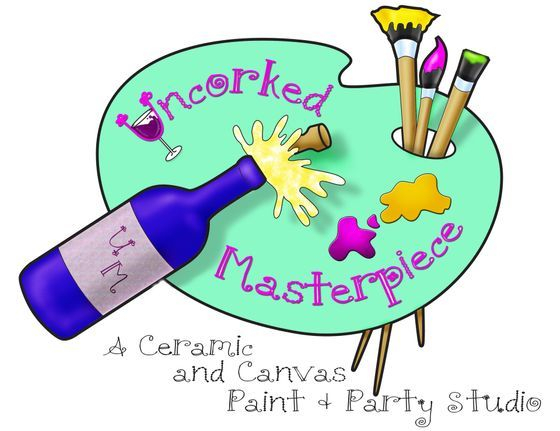 We are a ceramic and canvas paint and party studio. We help you uncork the masterpiece that is bottled up inside! Bring your favorite beverage and snack and we provide the fun. We offer day classes in many mediums. Check our calendar for classes. We also offer after school art classes. Great for birthday parties for all ages. Check our calendar for "The Painting of the NIght." Like us on Facebook for daily specials.